Assessment: We met Joanne on a cold winter day when knocking on doors in Heritage Greens. 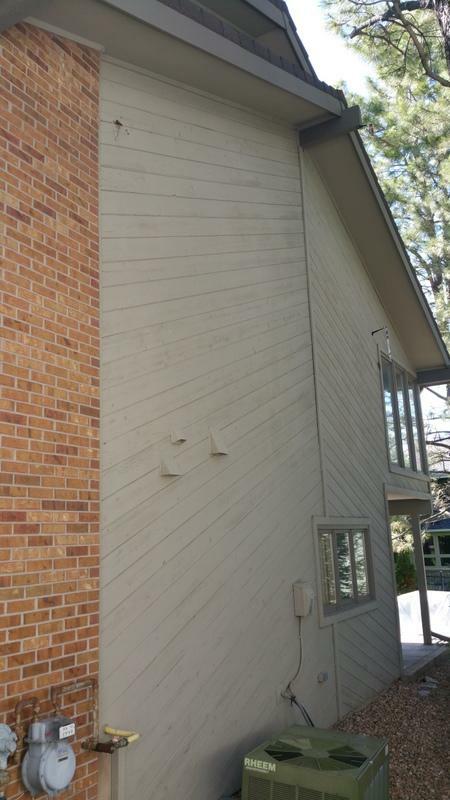 We noticed that her house’s siding boards were extremely weathered, paint was peeling, bare wood was exposed in spots, and the entire west side was completely destroyed by hail. 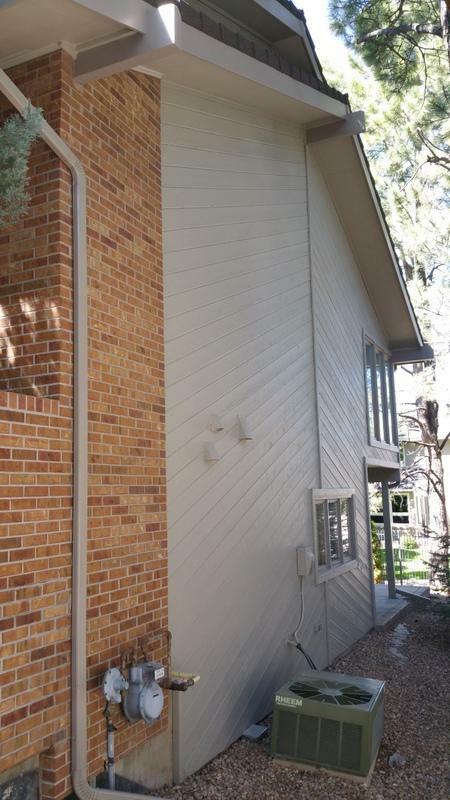 To do this job correctly, the entire side above the garage roofline would need to be removed. There were multiple wood trim and window sill boards that were compromised and would need to be replaced as well. LIME could save the other three sides of the home, but the back of the home would need some major prep, as it was severely distressed. 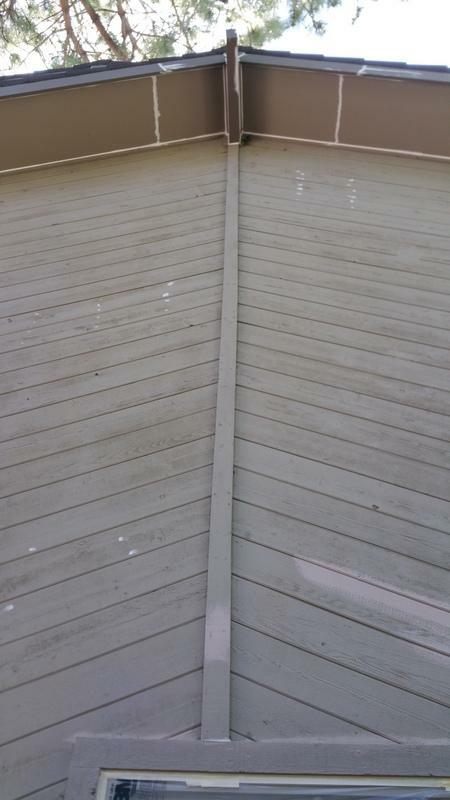 The soffit ceilings on the back porch had drywall and paint peeling off and needed a patch. 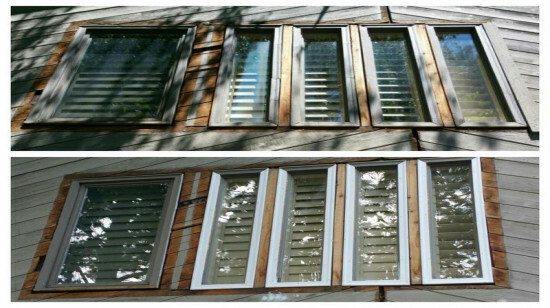 There were five windows that would all need the trim rebuilt around them. This was going to be a large, tedious, detailed job, with a lot of quality prep and products. We would need our most experienced wood craftsman for sure. 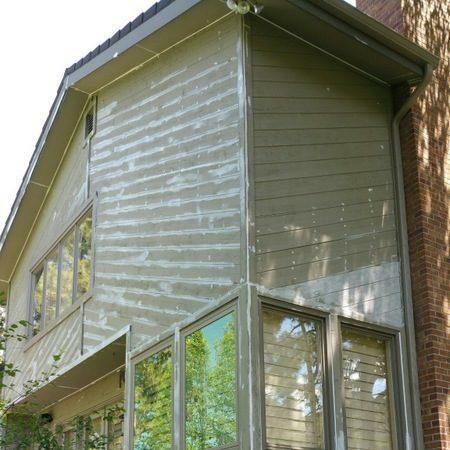 Advice: LIME power washed the home to remove the dirt and chalking from the faded and peeling paint. 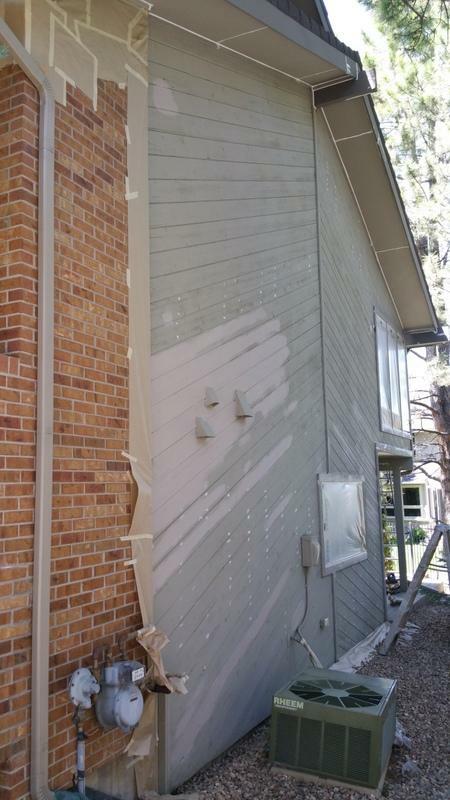 Next, we masked the entire home and caulked all the seams, joints, and multiple nail holes in the siding as they were becoming water prone areas. 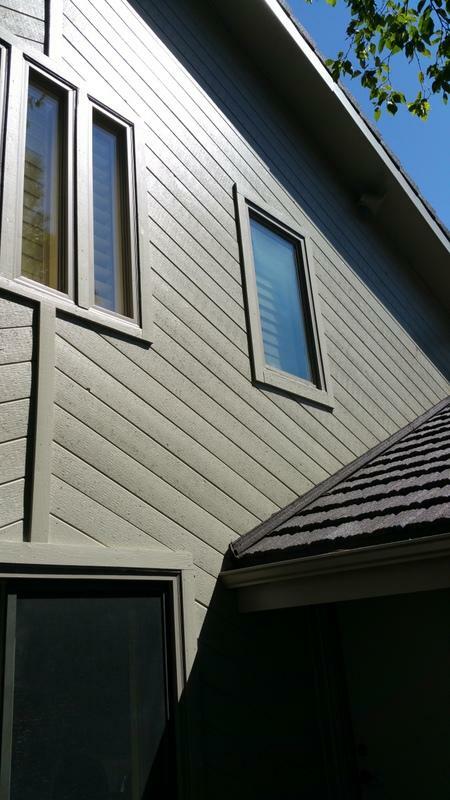 We thoroughly scraped under every siding board drip edge, and, where paint came off, we applied a thick coat of Peel Bond Primer. 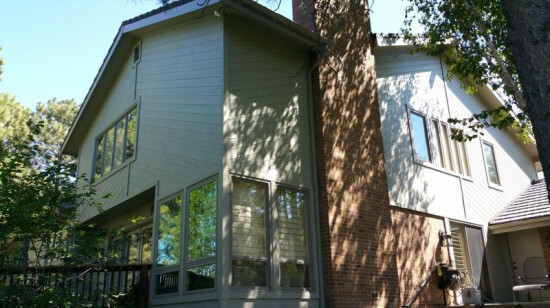 This home took a large amount of caulking and spot priming as noticed in the pictures. 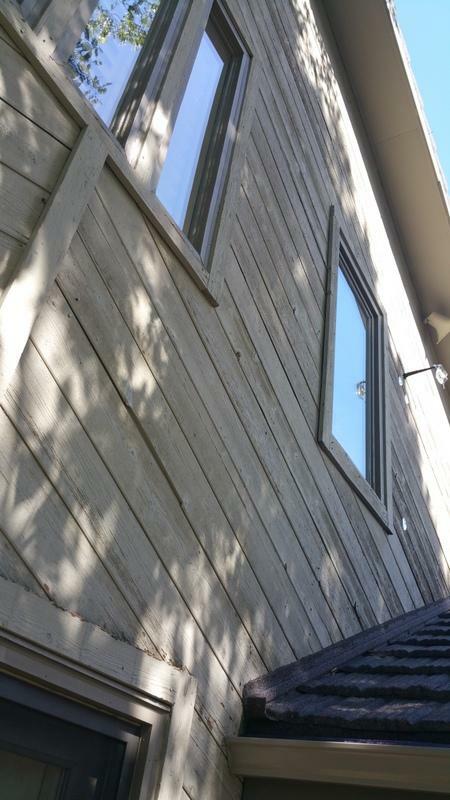 We also removed and installed dozens and dozens of new cedar siding boards on the entire west side of the home above the garage, on the garage, around five windows, and on random areas on the home. 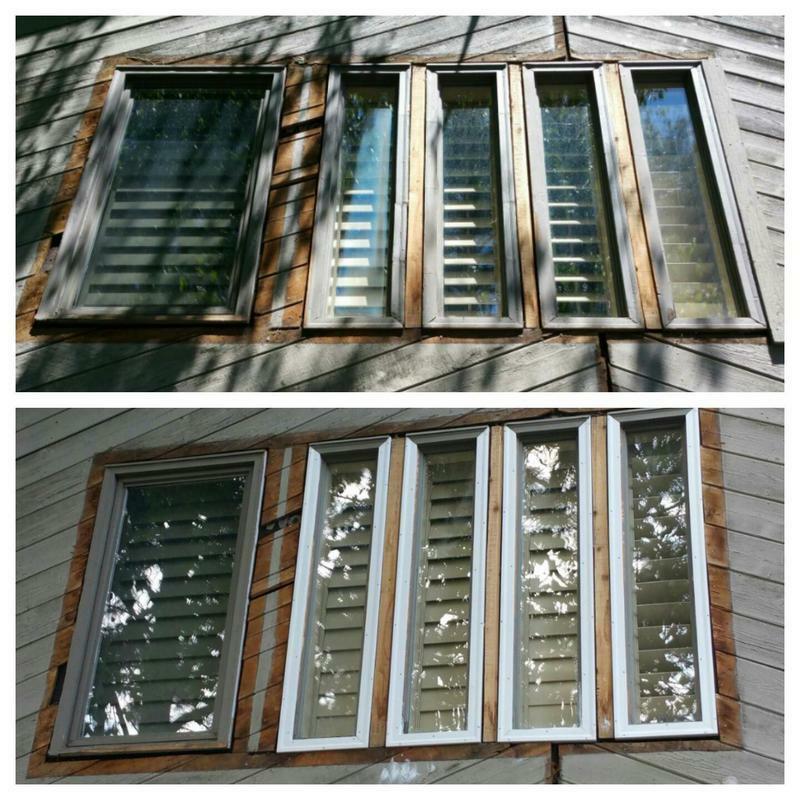 After the prep was audited multiple times, we sprayed the home with a thick topcoat of SW Duration Satin. 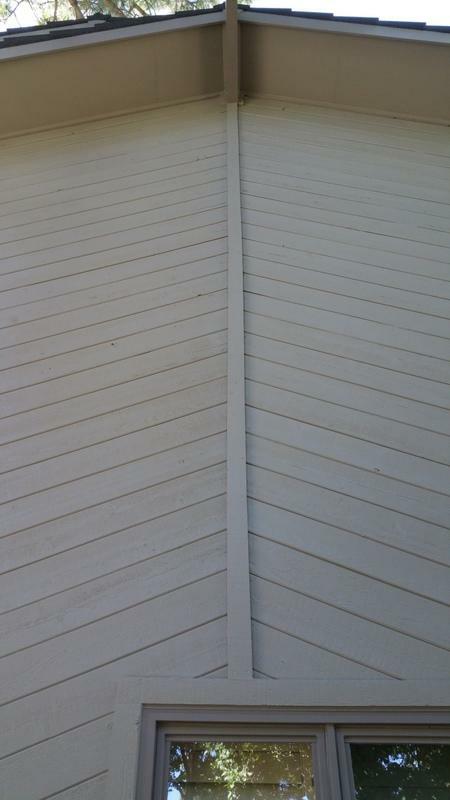 Now it is protected from the sun, snow, and rain, and will last eight to ten years. 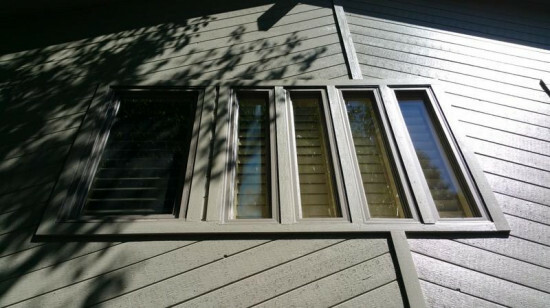 Our client was extremely pleased, was happy to do a BBB review, has given multiple phone references to other neighbors, and has since invited LIME back for three more projects, including exterior/interior work. Heritage Greens is a picturesque subdivision of 578 homes and is one of Metro Denver's premier south suburban neighborhoods. LIME Painting has been honored to restore dozens of homes there in the last three years, including painting the beautiful Heritage Greens Clubhouse.